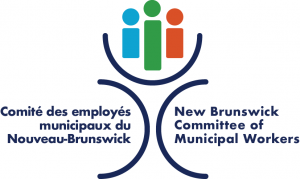 Fredericton – CUPE NB held a press conference on Thursday to discuss wages in the public sector and the urgent need for a stable progressive government to deal with the issue. 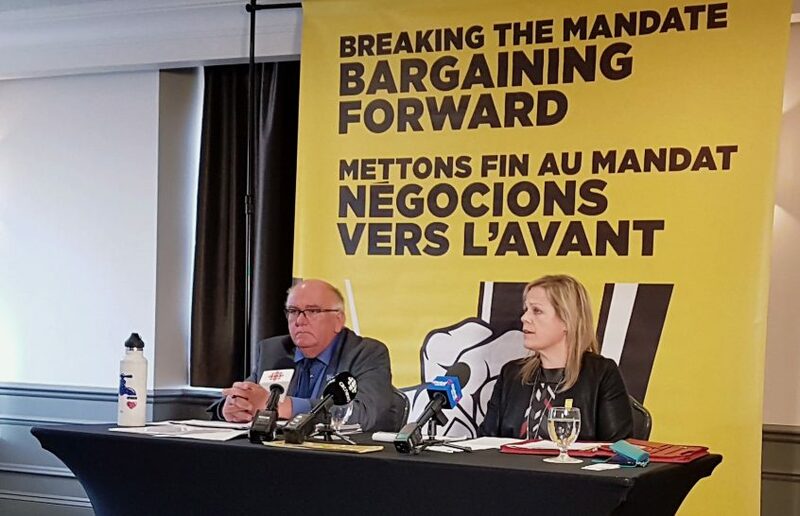 “After 8 months of consultation, education sessions, meeting thousands of members in the provincial tour and grassroots member mobilization, our Bargaining Forward movement is now in full swing,” said Daniel Légère, president of CUPE NB. “MLAs cannot shy away from the problems that a decade of stagnating wages creates,” said Légère. Thousands of CUPE members are currently held in a bargaining limbo with provincial government, notably CUPE Locals 1251, 1190, 1418, 1840, 2745, 946 at WorkSafe NB and Nursing Home Workers. “This limbo is unnecessarily wasting resources for both sides,” said Sandy Harding, CUPE Maritimes Regional Director. “We reached out to all 5 political parties to discuss this, all responded except the Alliance and the PCs,” said Harding. “This shows a lack of respect for the women and men who serve our communities. No matter what political configuration will emerge, I hope MLAs will come to recognize and deal with this issue,” she added. Workers’ resolve to obtain higher wages is strong and they are coordinating their bargaining. “If the government can’t come up with a fair and timely deal, workers will make themselves heard,” said Légère. Consumer spending drives close to 70% of our economy, but too many workers are taking on debt to make up for stagnant or declining purchasing power. “This is not enough to jolt the economy and it’s not viable in the long term. Growth is needed in this province, and workers’ purchasing power is a key part in the equation,” concluded Légère. CUPE NB represents close to 30,000 members in more than 200 locals. Major sectors within the Union include health care, education, nursing homes, municipalities and transportation. Find us online at www.nb.cupe.ca or follow us on Facebook.com/cupeNBscfp/.